Sungai Way eatery serves a satisfying meal. SUNGAI Way in Petaling Jaya is a former New Village with plenty of surprises. My previous discoveries consisted of some nasi padang stalls and a coffeeshop selling lou chee yuk. I made a return trip to Jalan SS9A/2, Petaling Jaya, for a makan session with mykaki, Eddie “Reel Tales” Chua. 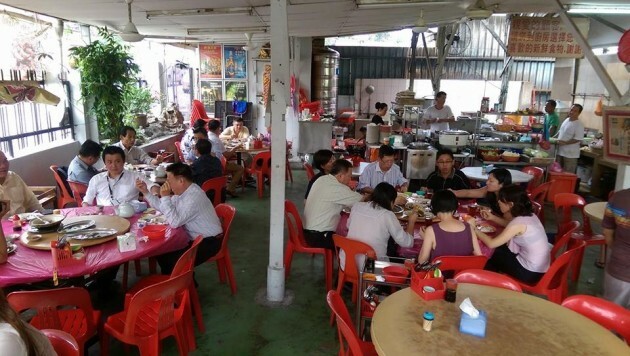 The place in question was Restoran Home Cook (GPS N 03°05’17.8” E 101°36’55.3”), located in a corner house off Jalan SS9A/2. Hungry customers at Restoran Home Cook. What is good there is the char siew (top pic) (RM12 for a small plate) and their fish dishes. Since we did not want a heavy meal, I ordered a plate of char siew and the garoupa fillet braised with bittergourd. Service was prompt, with the dishes served almost immediately after we got our pot of Chinese tea. The char siew was really tasty and worth its weight in every ringgit. 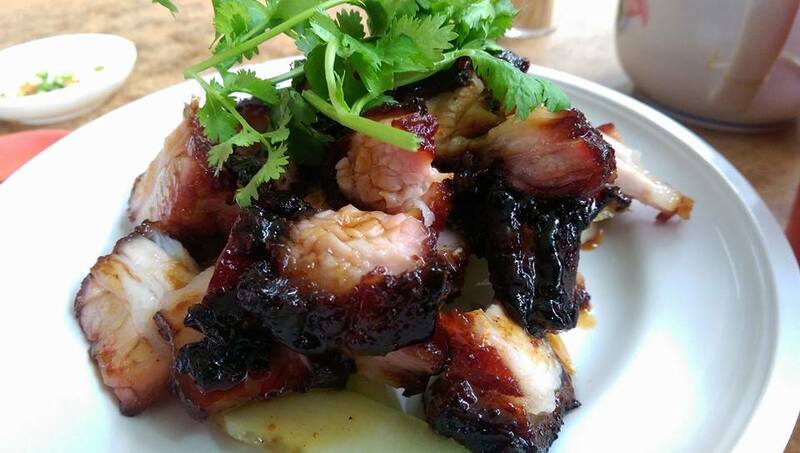 On the Samo-scale, I would rate Restoran Home Cook’s char siew 8 out of 10. The braised garoupa was also tasty. Our only grouse was that the portion was too small. 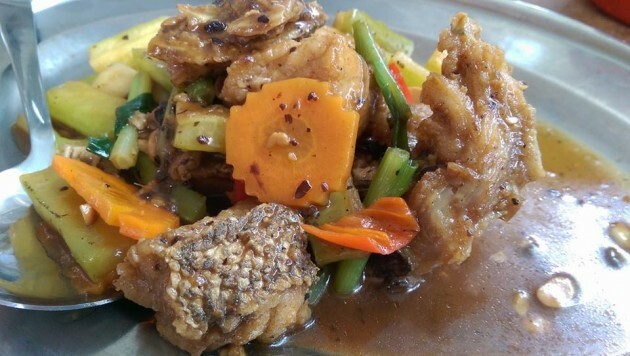 Other highly recommended dishes are steamed garoupa fillet with ginger, deep-fried treadfin, stir-fried char siew and the chee keok chou (pork trotter braised in black vinegar). After the satisfying meal, I asked around and learned that this makan place has been around for years and that it opens daily for lunch and dinner except on Tuesdays.